I'm writing a report and I'm not sure how Dickens intended to portray children. Both books focus heavily on orphans and the cruelty that they suffer in the hands of adults. However, to say that children suffer from injustice seems too obvious. I also considered the role that illusions have on them psychologically . I can't seem to decide on a definite and narrow focus. If anyone knows of any sources that offer any alternative insights on children, for a thesis, in these two books (besides the obvious) it would be much appreciated. If you keep your theme as "Children in DC and GE" you won't get much, I think, because we don't know enough every child in the two novels. The first step, in my opinion, would be to focus on David and Pip and then, maybe, expand on Estella or Steerforth, etc. 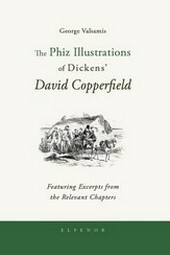 An important difference between David and Pip is, that David Copperfield is a lovable person from the beginning to the end of the story. Others may treat him wrong, but he is what he is, while Pip surrenders himself to arrogance. Is Pip more real than David? I wouldn't say so, but I see in this difference, besides all interesting things one should think of and research, an indication that for Dickens, there is not properly such a thing as "children", but only "this child" or "that child" - there are no "children" but David, Pip, Steerforth, Agnes, etc., persons unequal to each other and irreducible to a category that would include and define all of them in the fullness of their life. Moving a step farther, one can get rid even of the notion of a child, since, at least in the characters that I recall, all have a core that remains from childhood until the mature years, a "basic character" that is theirs all the time. If we set this aside, we will only get, as you say, "the obvious".